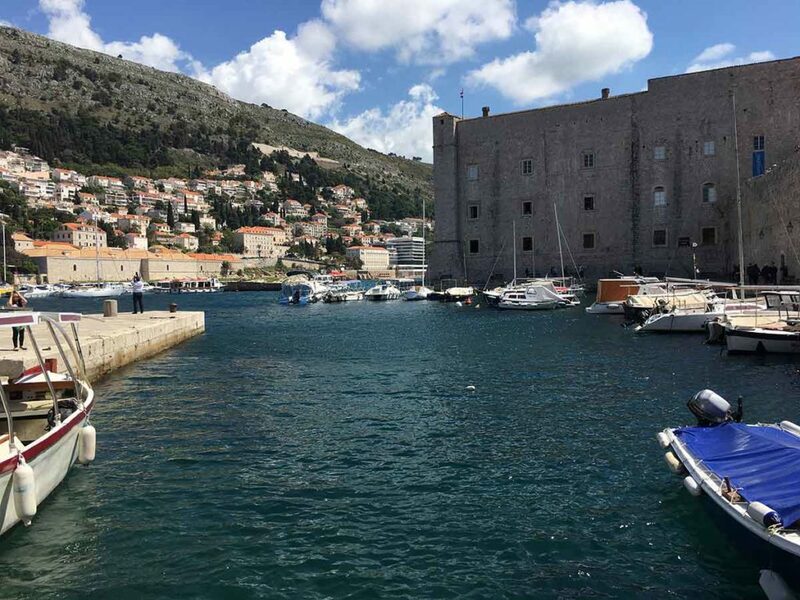 What to do in Dubrovnik for a Day. The city of Dubrovnik is located in the south of the beautiful country of Croatia, and lies on the Dalmatian peninsula. It is positioned on the azure blue waters of the Adriatic Sea, and as a walled city, you will get a large dose of history, culture, not to mention very good food. You will be left with no doubt as to why Dubrovnik was granted UNESCO World Heritage status in 1979 and is called the Pearl of the Adriatic. CNN also named it as one of, 10 of the best medieval walled cities along with many cities like Quebec in Canada. 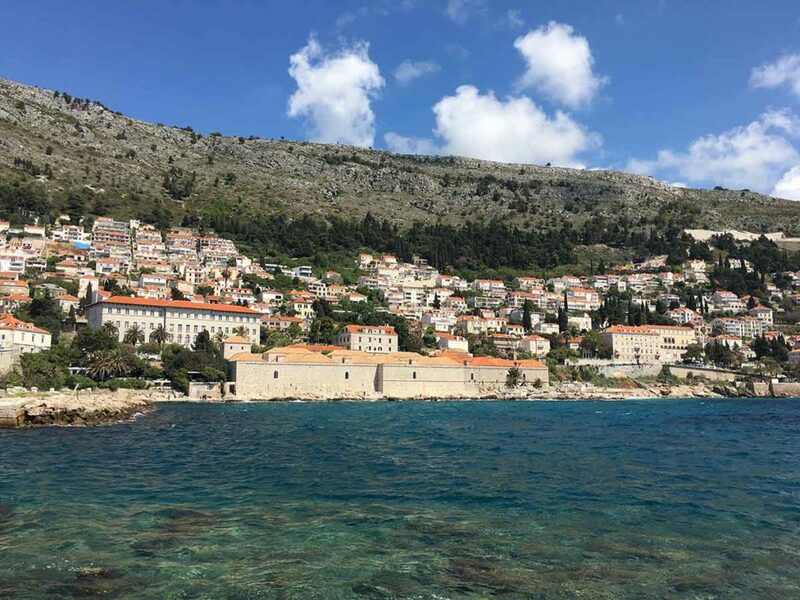 If you are fortunate enough to have more than a day, then here is a guide of where to stay in Dubrovnik, with many different price points. 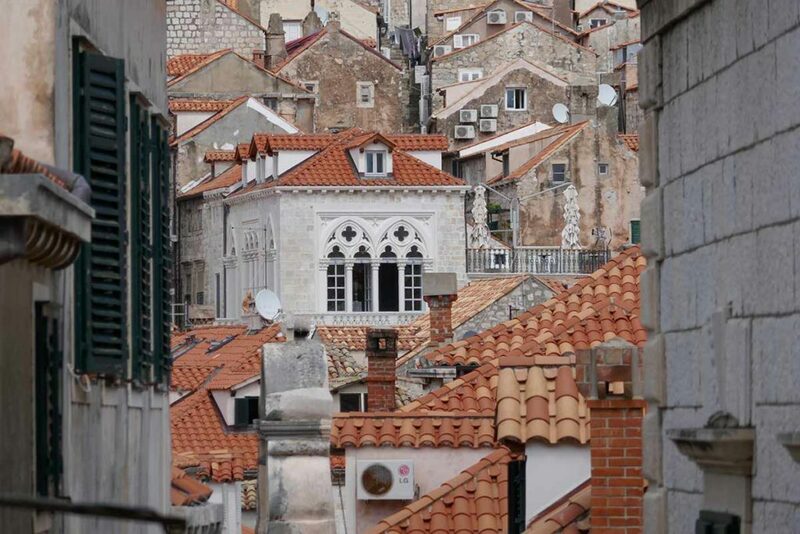 Here is a guide of the places to get the best photographs of Dubrovnik. Exploring Dubrovnik one of the most pleasant experiences you can have. Obviously spending more than a day would be better, as you enter into the magical world of this Old fortified city, a Unesco site. We considered this a reconnaissance mission and have every in tension to return and see a lot more. The nature of cruise ships, and this is our first cruise, is that you get a taster of some of the most beautiful places around. It was quite surprising what we did fit into one day however. 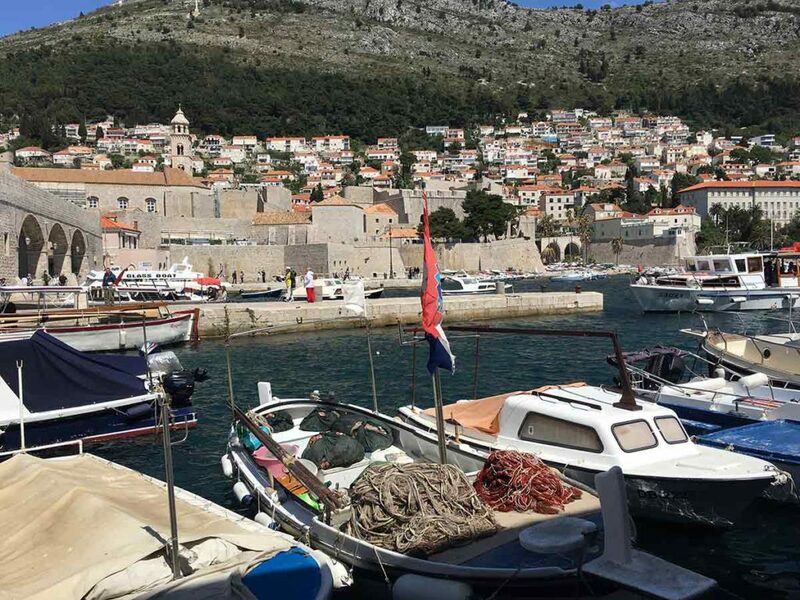 There are also some amazing day trips you can do from Dubrovnik and you can read about some here. 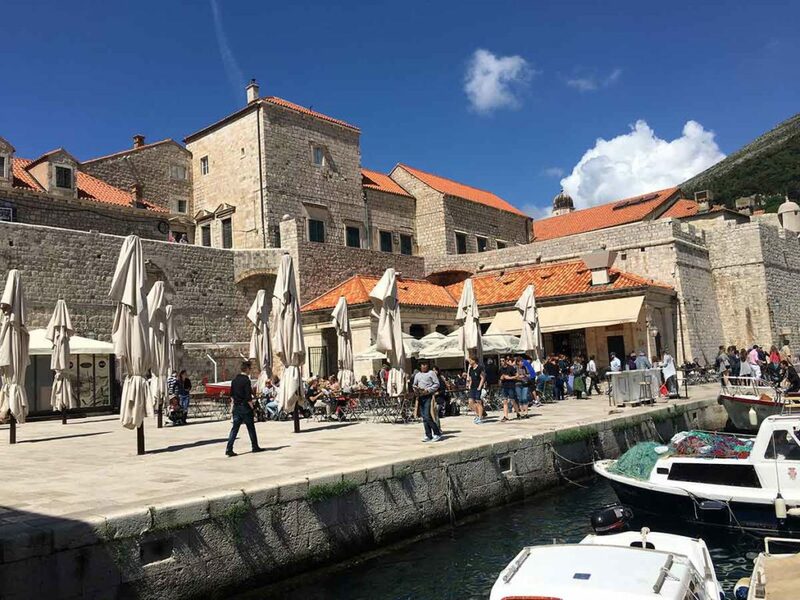 For Game of Thrones fans, you will know that Dubrovnik was the main filming location in Croatia for King’s Landing, a fictional city in Game of Thrones. You will find many tours to take you to specific locations. But it was the narrow and steep back streets where you will see the life of the city and its people. Where fishing was once the primary industry, it is now tourism. Of random interest, is that is has become a very desired location for the wealthy and elite, not to mention the A-list Hollywood set. Catherine Zeta-Jones and Michael Douglas having house in the city. 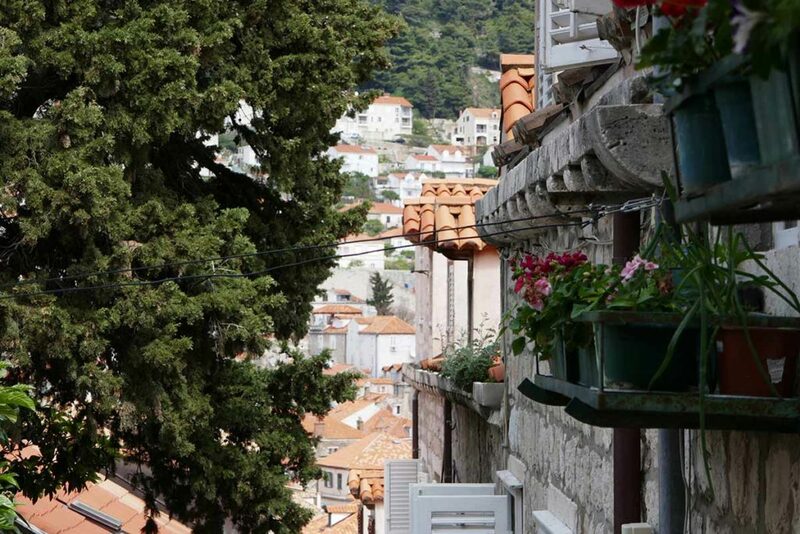 Many people will come to Dubrovnik for a day and spend their time walking and discovering the delights of this city. 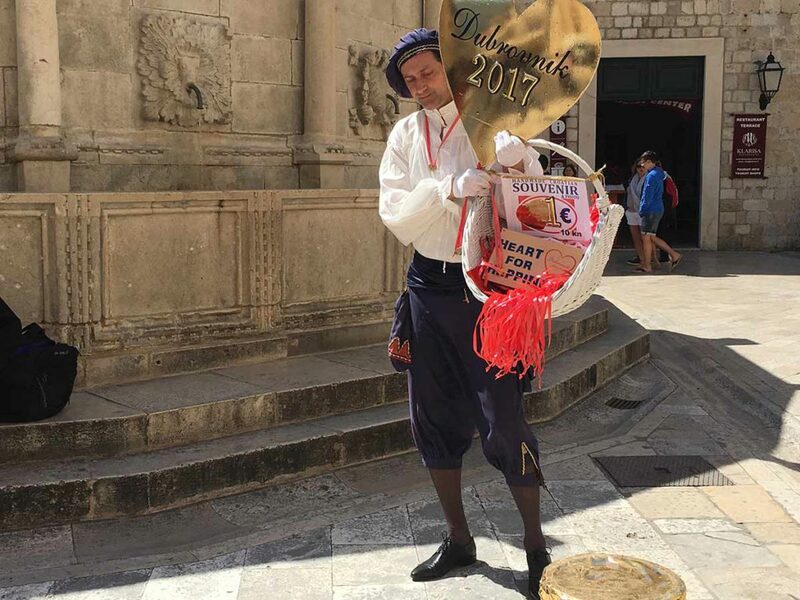 Here are our suggestions for How to Spend One Day in Dubrovnik based on what we did, saw and of course, ate and drank. This is very popular destination with a range of accommodation options. Check here for the latest prices. Poor Croatia has had a chequered past, with many many civil wars. I shouldn’t say poor Croatia, as this is a country that has had to reinvent themselves again and again. Now with stability in the country, it is one of the most desirable places to visit. The country and the city of Dubrovnik are naturally beautiful. Their position on the Adriatic coastline means that you are never far from the bright and beautiful waters of the Dalmatian coast. 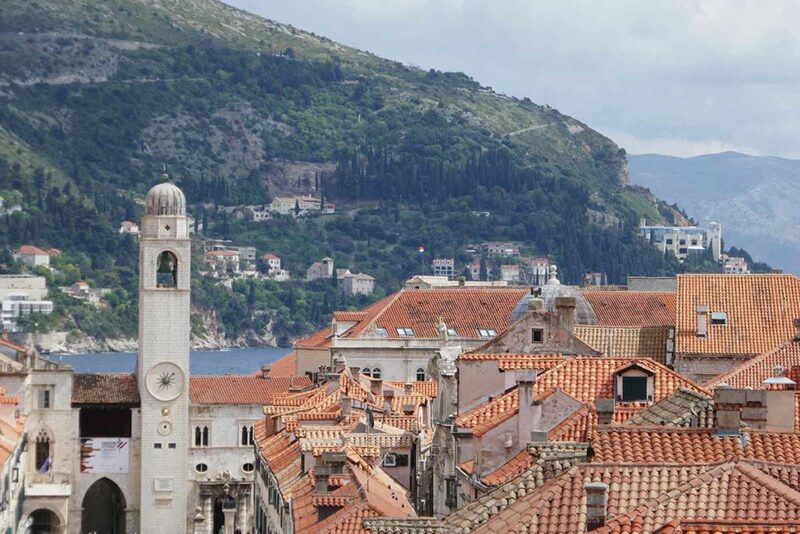 Dubrovnik was initially founded as two separate settlements in the 7th century. One was by the Slavs, and the other by refugees from Cavtat. The villages joined late in the 12th century, and this was when the walls were built around the city to defend it against the many enemy’s intents on invading the city. 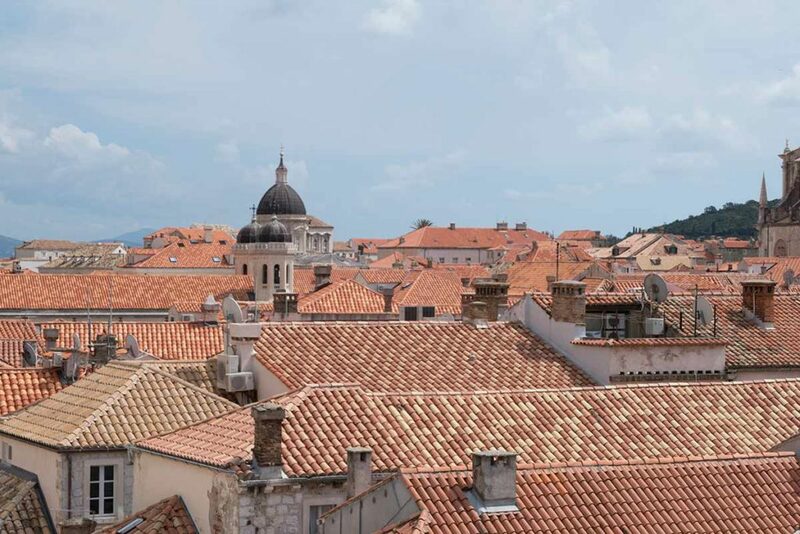 A very popular way to look onto the Old Town of Dubrovnik is to walk the enormous walls surrounding the city. There are some very steep sections and quite some steps, but it is achievable for all fitness levels if you take your time. This will also give you some of the most magnificent views of the Adriatic, and a chance to see the renowned orange roofs of the city. Looking past the Old Town, you see the stone covered mountains surrounding this seaport city. The Old Wall can get very crowded, but it gives you a chance to stop and catch your breath, and admire the scenery. Be aware that you need to use the local currency or a credit card, as Croatia is not part of the European Union (EU), and has its own currency. While some of the larger restaurants and shops will accept the euro, it is illegal for them to do this. Smaller shops will abide by the rules. Another way to view the city of Dubrovnik and the surrounding waters is to take the cable car to Mt Srd. This is a 412-foot-tall mountain that overlooks the city. Unfortunately, we had booked our tickets, but the wind was too strong, and the cable car had to be closed for the day. From what people told us, the views were staggeringly beautiful. A fellow travel writer shared their experience on the Cable Car to the top of Mt Srd. The entire historic old city is surrounded by the medieval ramparts. 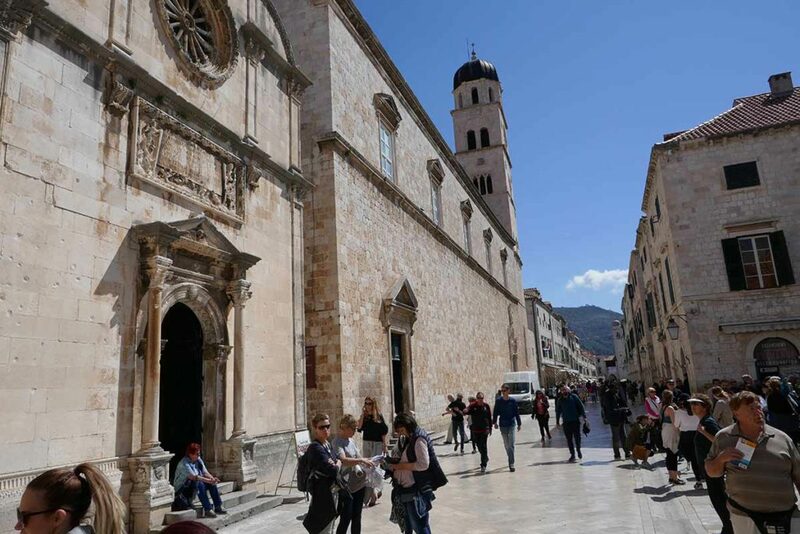 The Strada or Stradun is the main shopping street and gathering area in the city of Dubrovnik in Croatia. Many of the cities iconic monuments are located around this area. Most visitors will enter through Pile City Gate. The gates are overlooked by the two forts: Minčeta from the north and Bokar from the south. 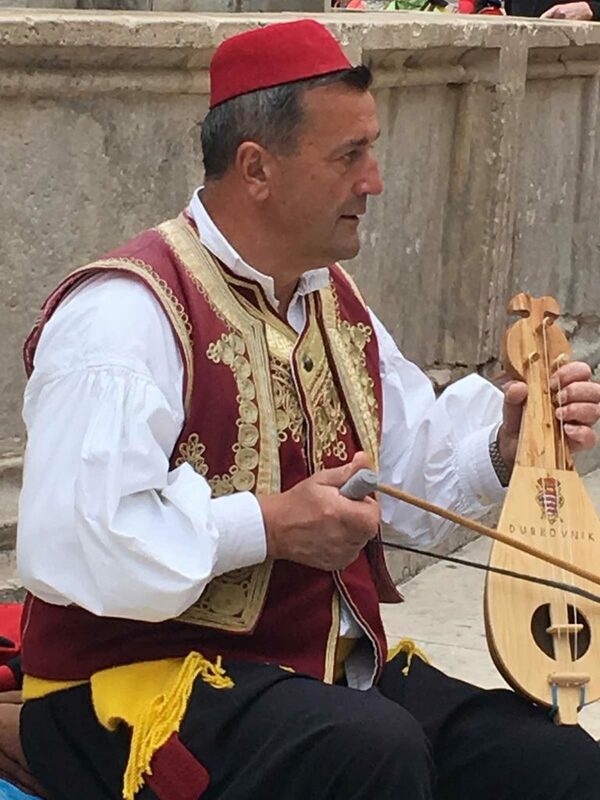 When you enter the Old City, you will see Onofrio Fountain, and there are often local performances. There are many souvenir shops, galleries, coffee bars and restaurants on the Stradun. You need to remember that all of the houses were built on the Stradun after an earthquake hit the city in 1667. This is the impressive entrance to the Old City, and you cross a drawbridge. This is when you appreciate the enormity of the walled city, and see the catapults that were used to defend this city. You can see that the threats to the people were obviously very real. Minčeta Fort is considered one of the most beautiful fortifying objects in the world. 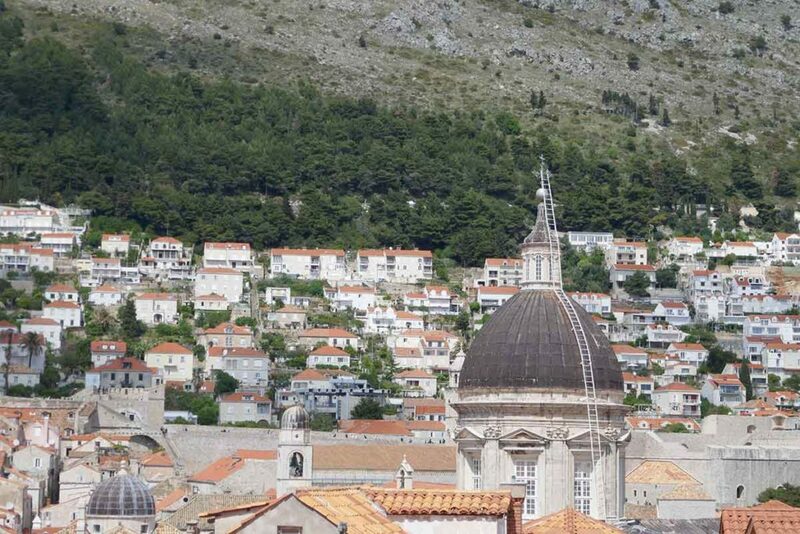 It is one of the recognizable Dubrovnik symbols offering a magnificent view of the entire city. 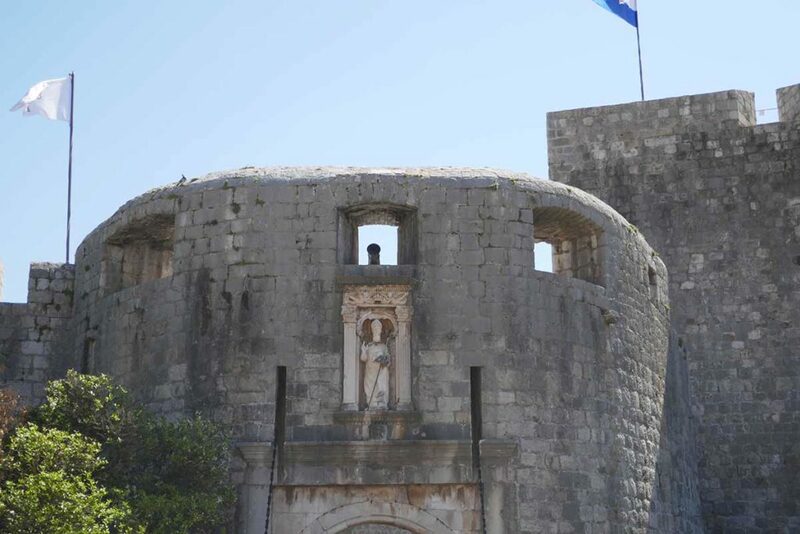 Bokar Fort was designed to defend the city from the sea; today it is the venue for performances of the Dubrovnik Summer Festival. This is a 14th-century friary. The gardens are delightful, and there is a museum showing many religious artworks. The Rector’s Palace was the seat of government in the 15th century. This highly impressive building is now a museum with many Baroque paintings and artifacts. 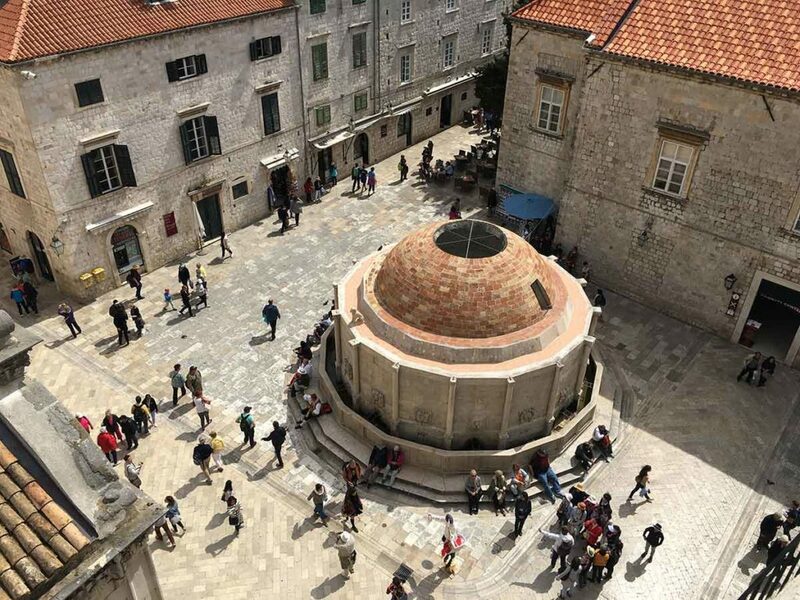 To get an understanding of the history of Dubrovnik, the museum, while confronting, gives you an understanding of just what the city has been through, and how they have emerged from a lot of trauma. This was once the Banac Mansion and has over 2,000 works. The featured exhibition when we visited were some of the works of Salvador Dali. 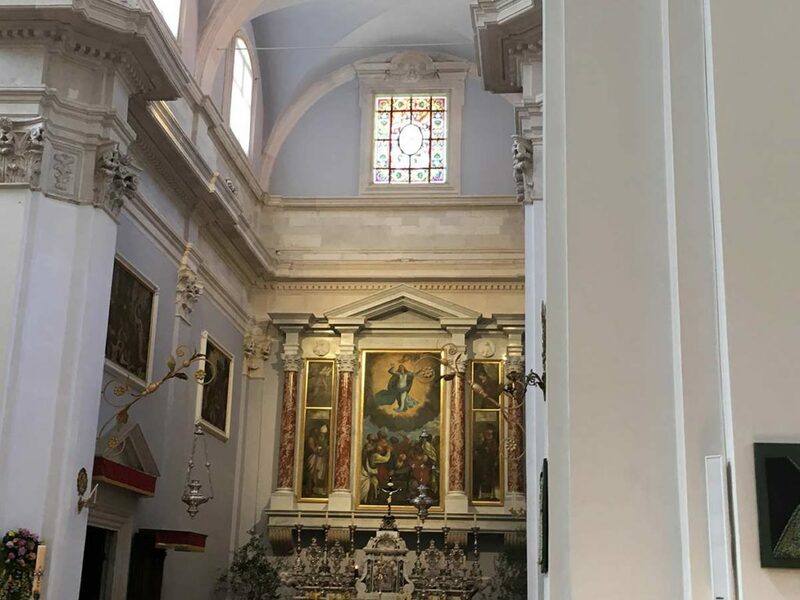 This stunning church in the middle of the Old Town of Dubrovnik is well worth exploring. The famous painting ‘Assumption of our Lady, can be seen in the church. Watching the many fishing boats bobbing up and down in the harbor is a must. The sea is exceptionally clear and a bluish green. It is a photographer’s dream. If you walk around to the breakwater, you can shoot back through the harbour to the fortress walks, and capture the orange tiles on the roofs, as well as the church steeples. There are many narrow streets that come off the main walkway of the old village. They are steep and they are fabulous. Little hole in the wall cafes abound, cats wander the streets, and the locals washing flutters in the breeze. 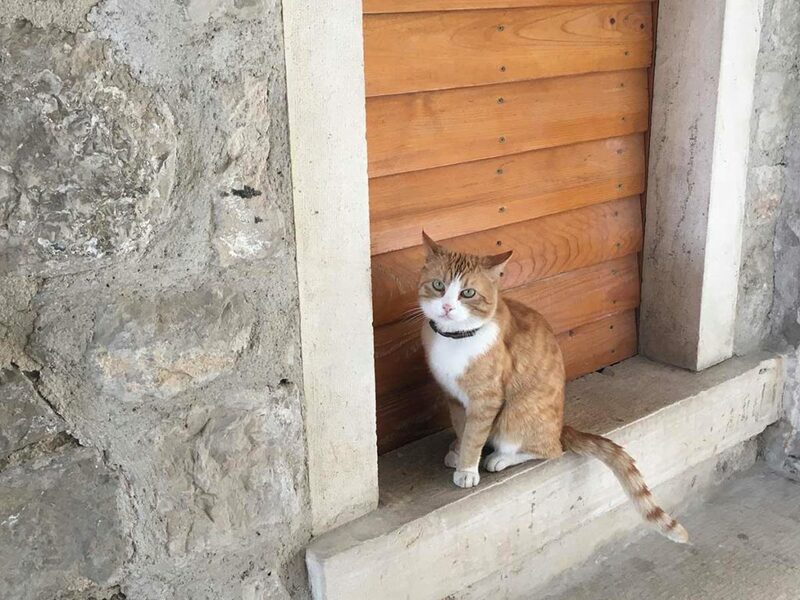 This, for me, was the highlight of our day in Dubrovnik. 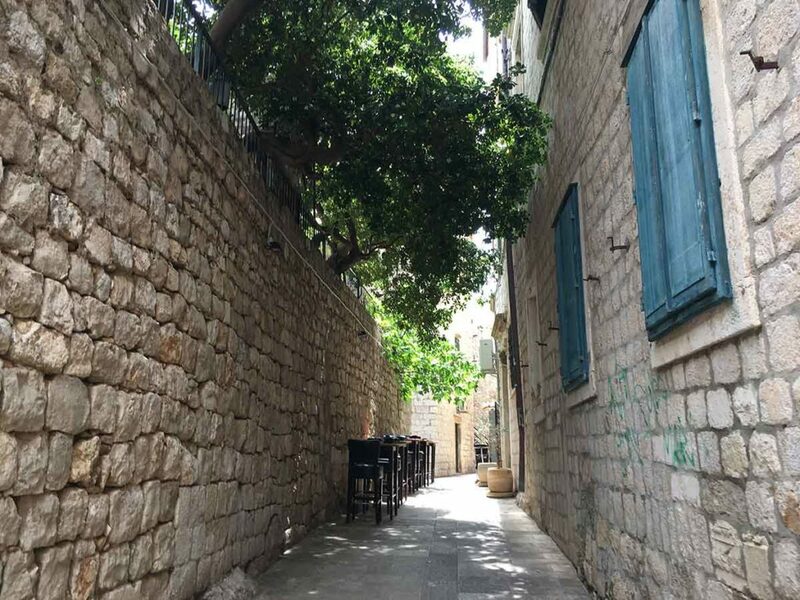 Local women were making lace on the little steps of their houses, and the men were variously congregated in coffee shops in these delightful back streets. I believe that everyone we saw that day did three things. Had a meal at a local restaurant, had a Croatian beer and got themselves a gelato. No one was disappointed. 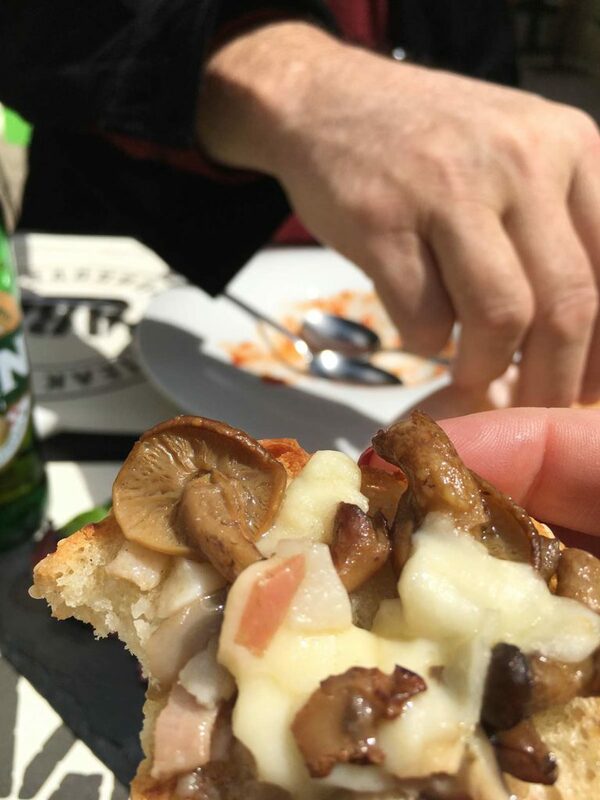 We wondered past a café in a little side street, and the aroma of the food stopped us in our tracks. We spoke to the lady, and she said it was probably the chef’s lunch. That was enough for us, and we sat in the sun tasting a tapas selection of local Dubrovnik food and had a local beer. 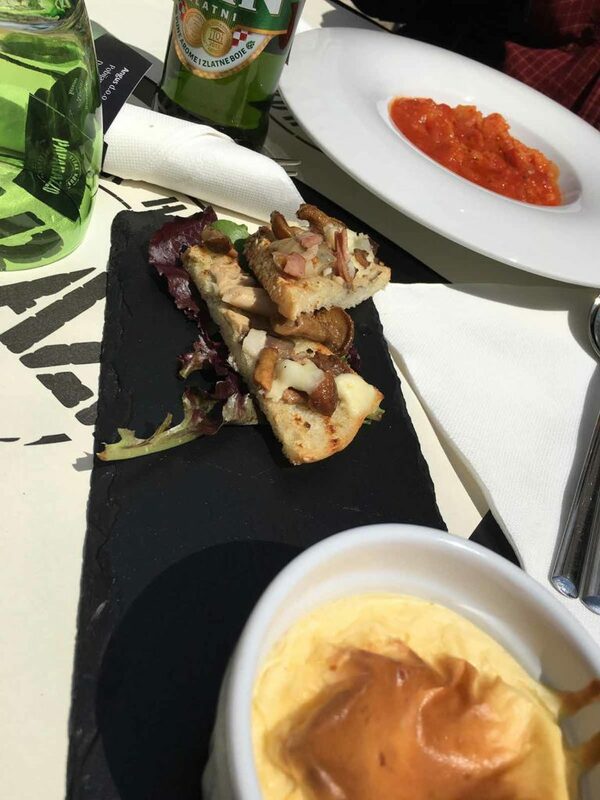 It was one of the most delicious meals we had, and the owners of the café were delightfully pleasant. 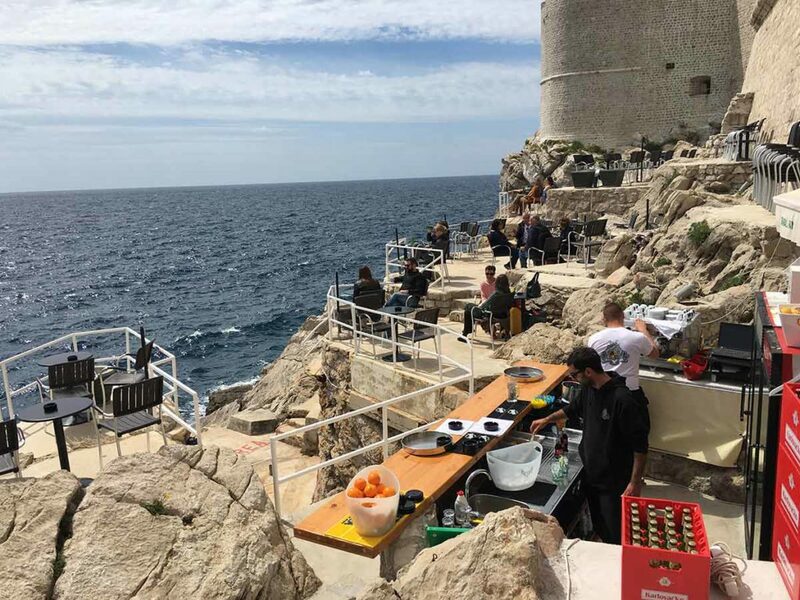 Another delightful restaurant perches precariously on a cliff face overlooking the Adriatic Sea. Arriving by cruise ship is popular means of arriving in Dubrovnik. But there are other ways. There are numerous flights that land in Dubrovnik from Great Britain and other European cities. There is an international bus service from Trieste in Italy, which takes about 12 hours, and is run by Autotrans. 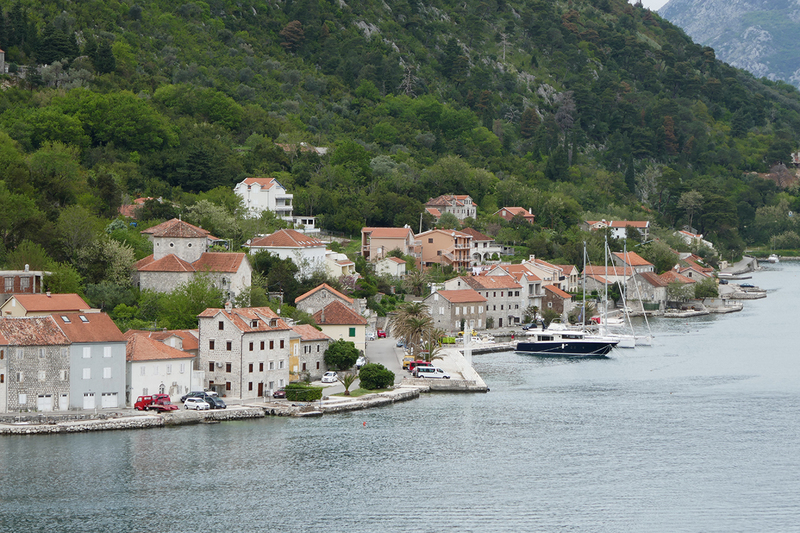 There are also bus services to Dubrovnik from neighbouring Bosnia & Hercegovina and Montenegro. Dubrovnik can also be reached by bus from Zagreb (which takes about 12 hours), Rijeka or Split. Check out schedules on the Dubrovnik Bus Terminal website. An international ferry service from Bari runs from late March to late October (with a higher frequency in summer) that is operated by Jadrolinija. 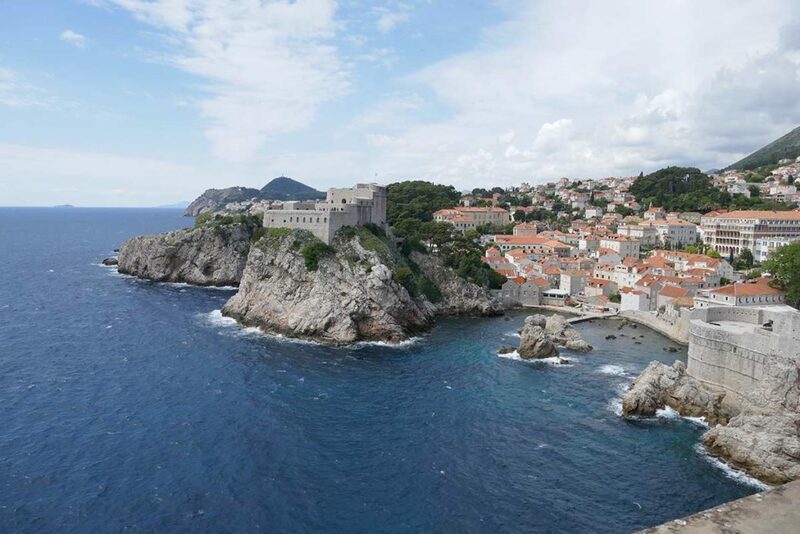 We hope this helps you with How to Spend One Day in Dubrovnik. It is a taster that will have you wanting to see and do more in this very beautiful Croatian city. We will be returning …definitely. Thanks, and Dubrovnik was charming. The information you shared in this blog is the most efficiently reliable one. We hope to read more number of reliable blogs……. 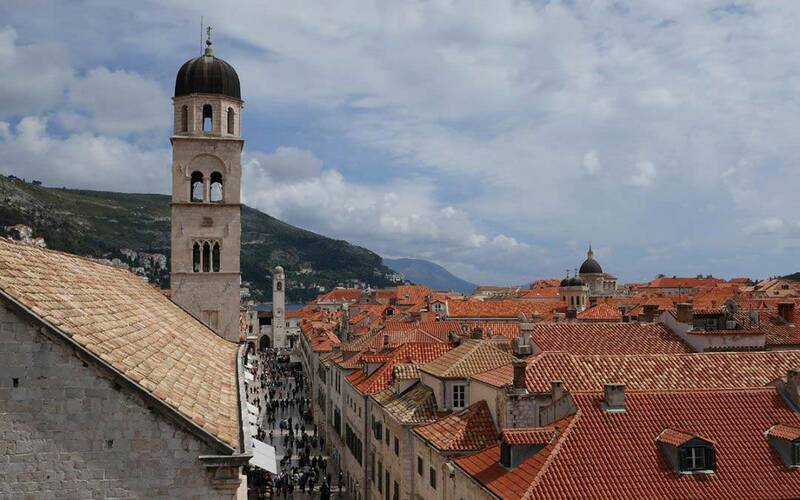 Great Ideas shared by you on What to do in Dubrovnik? It’s awesome! Amazing Pictures. Thanks for such a amazing information. Thanks, the city of Dubrovnik is so attractive, it was hard not to get good photos.